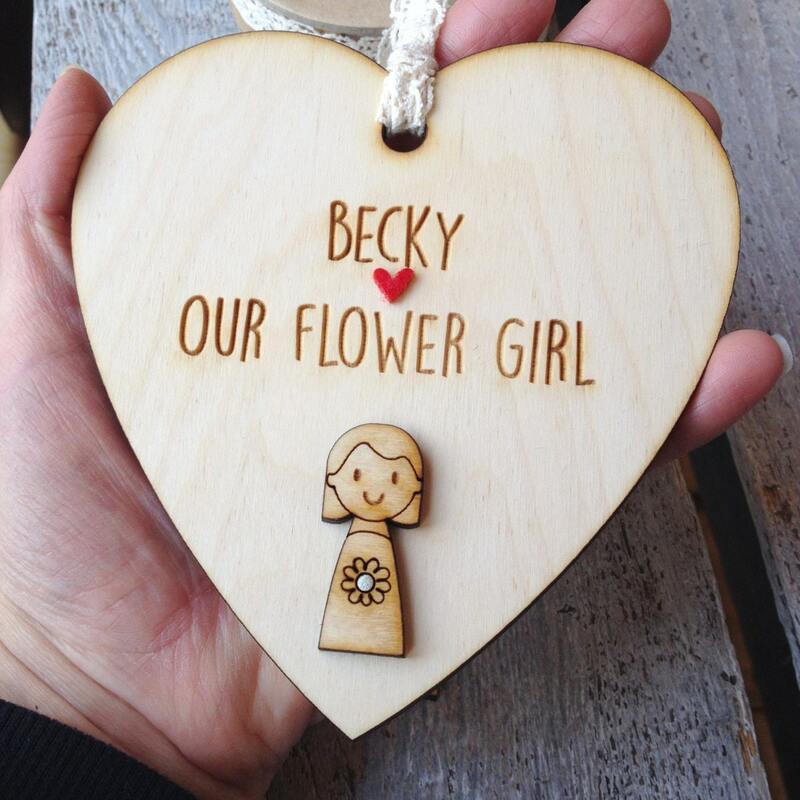 A lovely gift to say thank you to your Flower Girl or Bridesmaids. 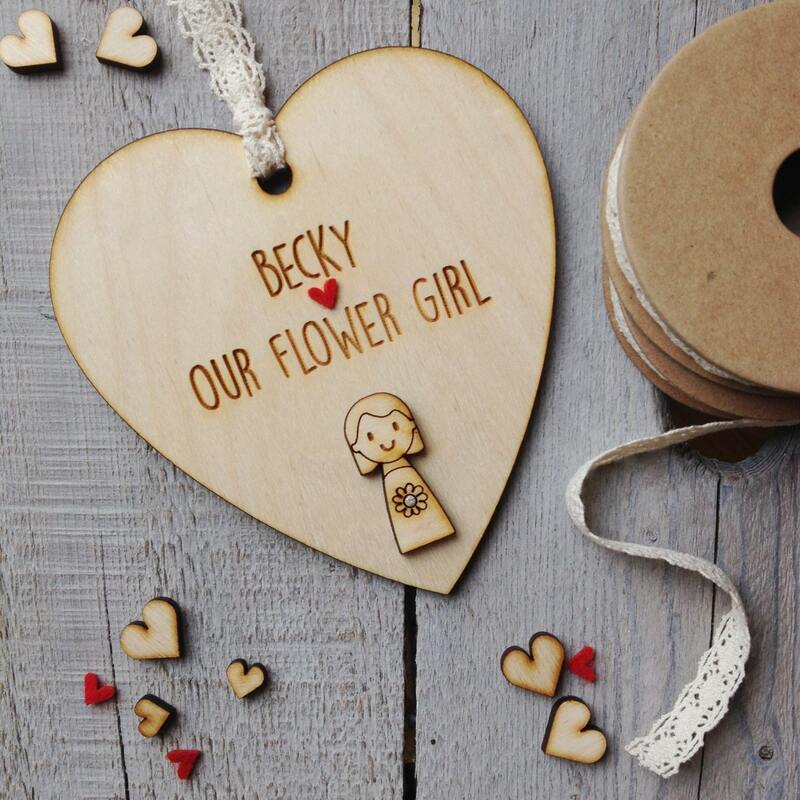 The heart features a cute little wooden girl holding a flower and is finished with red felt heart details and vintage style cream lace. Each heart is individually made and printed to order. 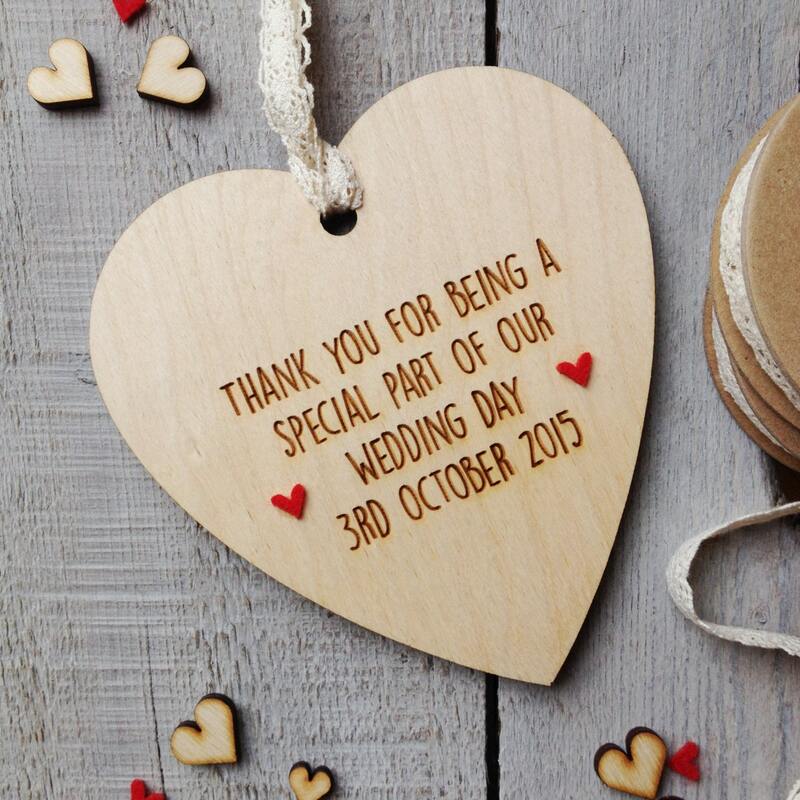 A beautiful keepsake gift for a special day. 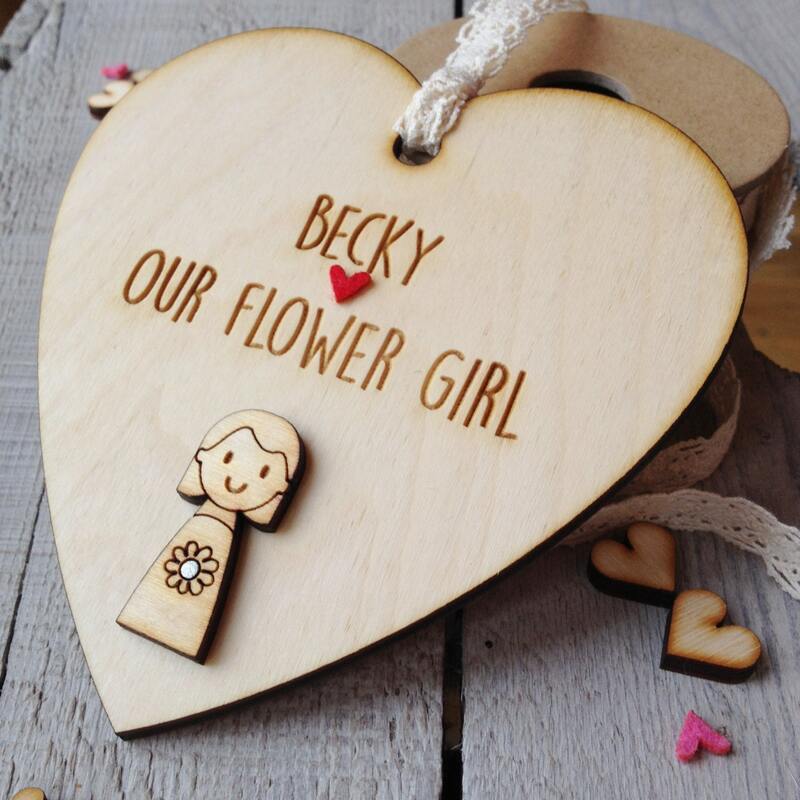 You can personalise the heart with the child's name and either Flower Girl or Bridesmaid and on the back the date of the wedding. Over the moon with my whole order, such a fast turnaround too! Thank you so much!